Welcome to the Paint Researcher website, dedicated to all things paint research. The purpose of this website is to provide learning on the process of paint research and to document some of the many fascinating projects I’m involved in each year. If you have a project you would like to discuss, please use the contacts page to get in touch. 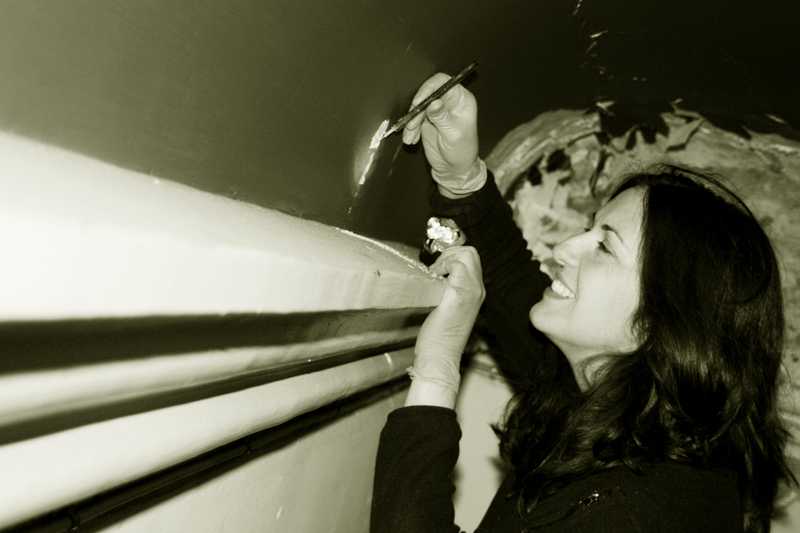 Karen Morrissey is the Conservation Manager and Paint Researcher at Messenger Conservation Ltd. Karen is an experienced historic building conservator and architectural paint research specialist, with many years experience in the field, working across the UK. She is an accredited member of the Institute of Conservation, occassional tutor for Lincoln Heritage Skills Centre and Icon PACR Mentor. Her portfolio includes high profile sites such as The Palace of Westminster, Tower bridge London, and York Mansion House. Messenger Conservation's paint research services offer a flexible, cost effective service, supported and enhanced by follow-on care from the conservation team Messenger’s highly knowledgeable and skilled team of conservators and craftspeople.